WASHINGTON — The U.S. under President Barack Obama cannot be trusted, at leas that is what is being indicated by recent Saudi and Israeli collaboration efforts regarding Syria. 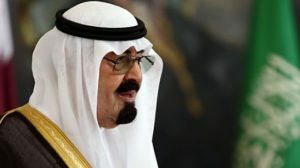 Reuters reported that both Saudi Arabia and Israel are trying to pressure Obama to strike Syria, but Obama has since folded after admitting he will seek U.S. Congress’s approval for a military intervention. Saudi Arabia and Israel are not your typical perception of an alliance, but both have a stake in the Syrian civil war because they fear it only strengthens their mutual enemy: Iran. Iran continues to build up their nuclear arsenal (claiming it is for civilian use) while spewing anti-Israeli threats and attacking Sunni Muslims in Syria and Iraq. Saudi Arabia is a mostly Sunni Muslim country and sees a rising Iran, which is Shi’a, as growing threat. Obama had drawn a “red line” and told the world that if Syria’s government, led by Bashar al-Assad, used chemical weapons, then the U.S. would intervene. But, he has since backtracked on that statement and is waiting until Congress convenes September 9th to discuss the matter with Congress. Meanwhile, the Syrian civil war continues and pits Sunni Muslim rebels, who are supported by Saudi Arabia and Turkey, against the Russian and Iranian-backed Syrian government. Barack ObamaBashar al-Assadchemical weaponsCongressIsraelRussiaSaudi ArabiaSyriaTurkeyU.N.U.S.